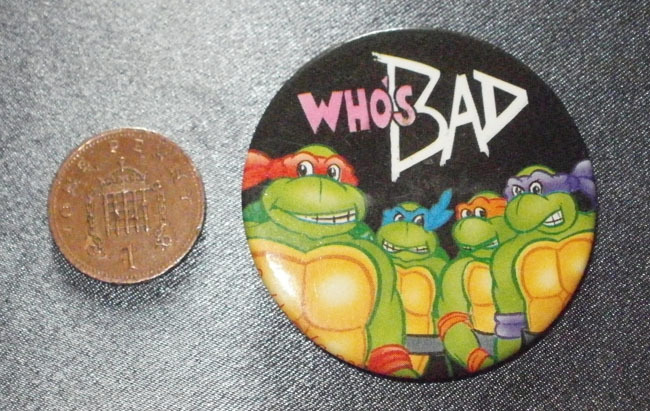 WHO'S BAD?...This pretty nifty Teenage Mutant Ninja/Hero Turtles pin badge is from 1990 and in excellent condition. Measures 1,3/4" in size. 1p shown for size reference only.